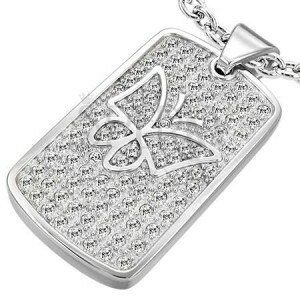 A pendant made of surgical steel decorated with a butterfly surrounded by zircons. By buying this product you can collect up to 4 points as a voucher of 0,80 €. Your reward points. 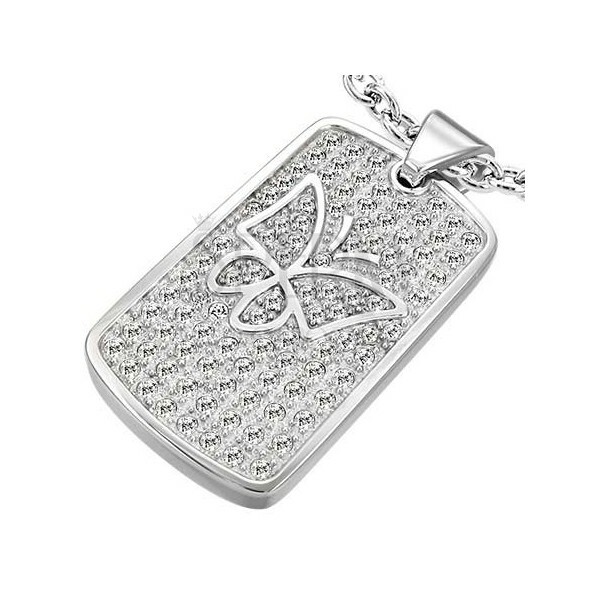 A stainless steel pendant - a shiny pendant with a butterfly and gem stones.